The UK Gambling Commission (UKGC) is telling gaming operators to take a close look at their anti-money laundering policies after finding that at least one major operator had holes in their own policies. The UKGC found that the Rank Group had weaknesses in its own anti-money laundering procedures, particularly at their Grosvenor Casinos. 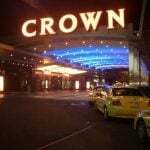 The issue with Grosvenor Casinos dealt with a former customers, Da Feng Ding, who was convicted of money laundering and recently sentenced to four years in prison as a result. 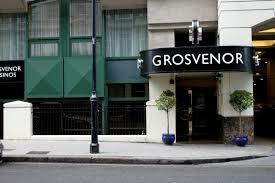 At one of their casinos, Ding may have been Grosvenor’s biggest customer between 2008 and 2011. The problem, according to the UKGC, was that Grosvenor should have at least been suspicious about the source of Ding’s endless wealth. Despite the fact that Ding had no obvious source of income, casino officials did little or nothing to try to verify the source of his funds, even after he spent sums that should have triggered Grosvenor’s responsible gambling policies, which it seems were never enacted by casino staff. Grosvenor also failed to properly report the suspicious nature of Ding’s play to law enforcement agencies, something required under the Proceeds of Crime Act 2002. Ding ultimately self-excluded himself from the company’s casinos in 2011, saying that he needed to control his gambling. The Rank Group was also cited for their handling of an incident involving Meccabingo.com, a product that is part of their Rank Digital Group. An unnamed customer (known as “Customer B” in the UKGC investigation) recently pleaded guilty to defrauding her employer out of hundreds of thousands of British pounds, then gambling a similar sum on Meccabingo.com. According to the UKGC, the customer played on the site from November 2011 through December 2014, when she was arrested. What began as low-stakes play suddenly increased starting in May 2012, staying at or above £5,000 ($7,700) a month up until the time of her arrest. 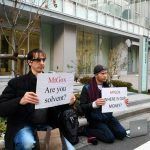 The UKGC said that Rank Digital did not properly monitor the customer’s suspicious play or make appropriate anti-money laundering checks during her time on the site. In fact, they instead treated her quite well: given the amount of money she was spending, they treated Customer B as a highly-valued player, rewarding her with a trip to Las Vegas in October 2013 and a cruise in late 2014, just before her arrest. 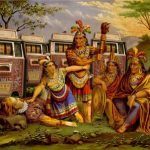 Given the strength of the evidence against them, Rank acknowledged that they had failed in their responsibilities and agreed to surrender £950,000 ($1.46 million) that the company made in profits from their anti-money laundering oversights. The company also says that it will undergo an independent audit of its procedures. 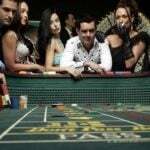 The UKGC is also using the Rank Group cases to send a wider message to gambling operators about the importance of combating money laundering, asking companies to take a closer look at their responsibilities and make sure they are checking into regular customers who are spending suspiciously large amounts of money in their casinos, betting shops or websites. In particular, the commission asked operators to ensure that they are not tipping off customers by warning them that their spending could lead to investigations, and asked that gambling companies consider whether they were only providing information as “cover” in order to continue relationships with suspicious clients. “The Commission is bringing to the attention of all operators the need to take a critical approach to assessing their own policies and procedures and, crucially, whether they are being followed and remain fit for purpose, to avoid generating a false sense of security,” the UKGC said.